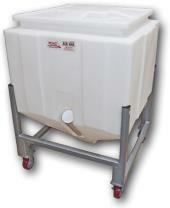 Our resin bins are designed for the storage and handling of resin material. We specifically manufacture our resin bins from high-density polyethylene for toughness, durability, effortless cleaning and visibility of contents. 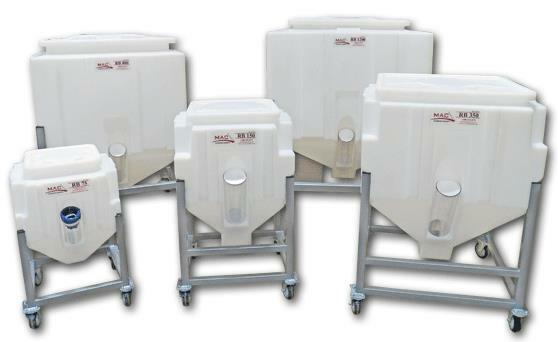 These bulk containers have heavy-duty casters simplifying the transport and handling of bulk solids. 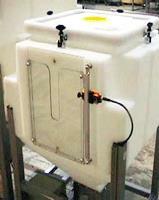 The resin bin's rugged powder coated steel framework provides long-term dependable service. 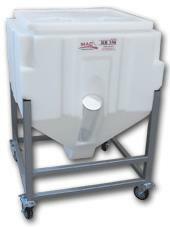 The MAC Resin Bin has been designed for ease of use, simple but rugged construction providing features that one just doesn't find on bulk containers of similar price. These containers are designed for use with either virgin or regrind materials, colorants or other uses. Typically used for short runs. Buy in Quantity and SAVE!!! Note: Qty discount available as long as the minimum qty for the total purchase is ordered on the same PO. 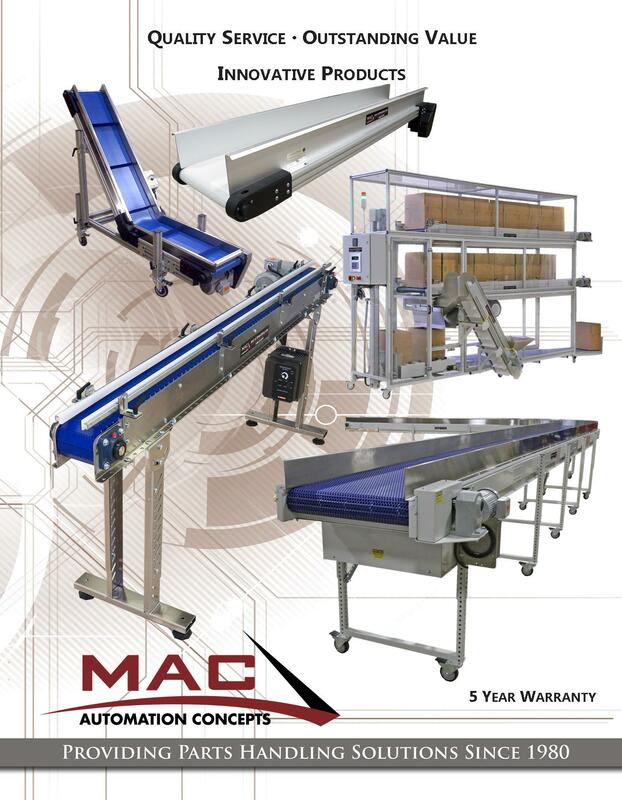 MAC Automation specially designed our resin bins and had them manufactured from high-density polyethylene for toughness, durability, easy cleaning and visibility of contents. 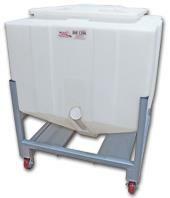 Our Resin Bins are ideal for storage and transfer of material from grinder bins, bags, Gaylord, drums, and evacuation systems. 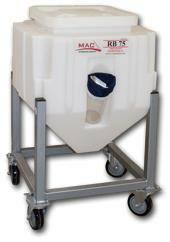 MAC Resin Bins can be customized in many ways. We can add vacuum components to the top or bottom, add convenient lid holders to the side, and we also offer several soft good accessories. 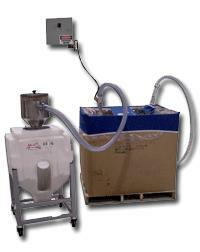 Self-emptying resin bins are designed for use with vacuum loading systems using pickup wands. 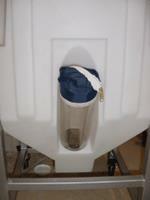 The vacuum wand is inserted into a tube on the bin. This tube is angled and directed to the lowest point in the bin where resin can be picked up by the wand. 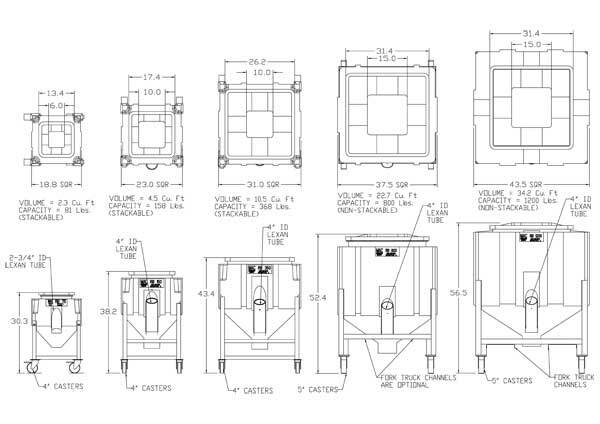 Unit comes with a lid, full swivel casters, and most are stackable up to three high! EXCLUDING Models: RB800C & RB1200C. 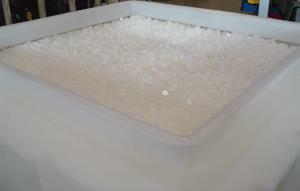 Using resin bins in a plastic injection molding plant can immediately help with material control and cleanliness. Resin bins are a perfect solution to health and safety regulations controlling the manual lifting of heavy loads such as bags of raw material. Select models can be stacked up to 3 high! Est. Shipping weight: 60 lbs. Est. Shipping weight: 90 lbs. Est. Shipping weight: 120 lbs. Est. Shipping weight: 200 lbs. Est. Shipping weight: 290 lbs. 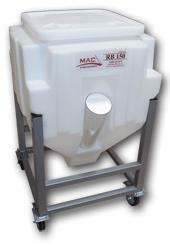 The MAC Automatic Resin Bin Loading Station is designed to work with MAC mobile resin storage bins and Drum or Gaylord Filter Covers. 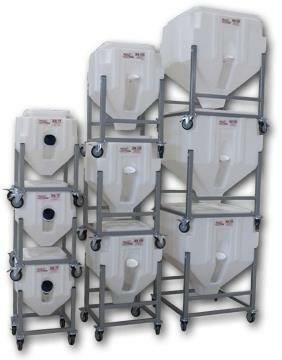 It is a convenient method for automatically filling these bins from Gaylord or drum containers. 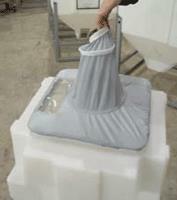 Durable welded steel base painted silver metallic. 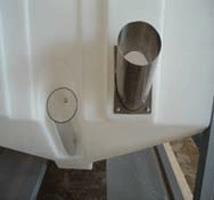 Load height is adjustable for use with RB75, RB150 and RB350 size bins. Gas spring assist for height adjustment. 2″ diameter pickup wand with hose included. Wand storage point on base. 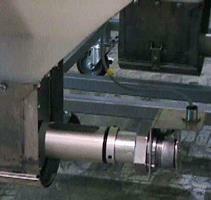 Pneumatic conveyor requires 60-80 PSI compressed air to operate. 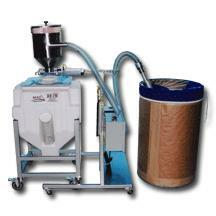 Cyclone decelerator includes replaceable filter to minimize resin dust. Timer control included with overfill sensor. 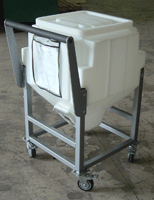 4″ diameter locking casters for mobility. Operator places resin bin under load point. Operator adjusts lowers cyclone decelerator arm to top of bin. Wand is placed into raw material storage container (drum or Gaylord). Operator adjusts timer dial to desired setting. Operator then presses start button. 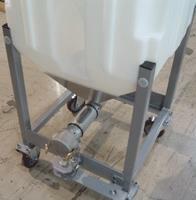 Pneumatic conveyor transfers resin into bin until timer times out or the overfill sensor is tripped. When filling is done operator raises decelerator arm and removes bin.